Boston Magazine features a family-room renovation designed by Elizabeth Swartz Interiors on the North Shore of Boston. 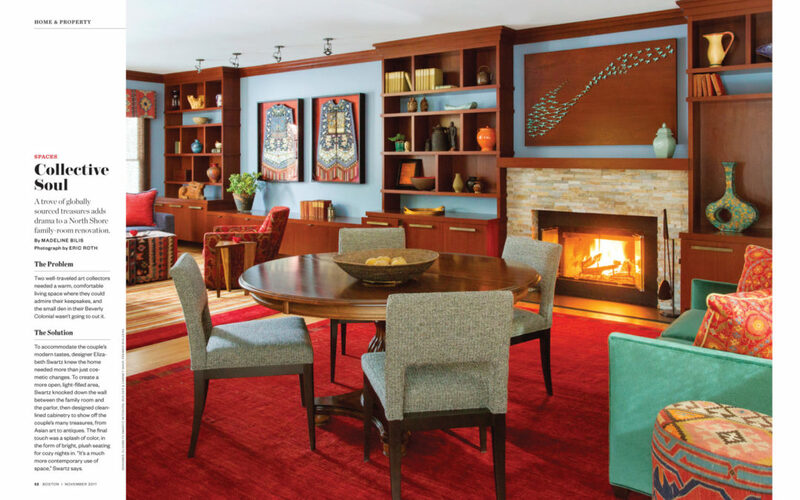 By removing an existing wall, Elizabeth Swartz Interiors created an open and contemporary space for this well-traveled couple to display their art collection. The new family-room includes custom cabinetry with simple lines and a splash of color on the walls and furnishings.